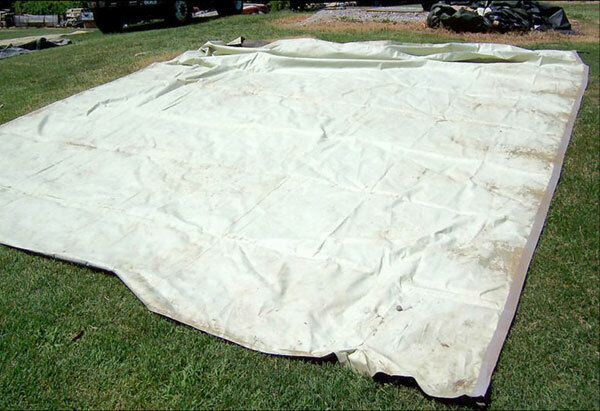 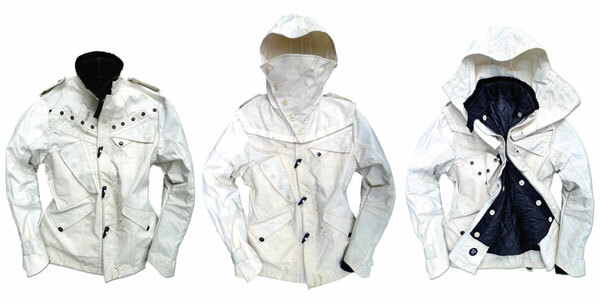 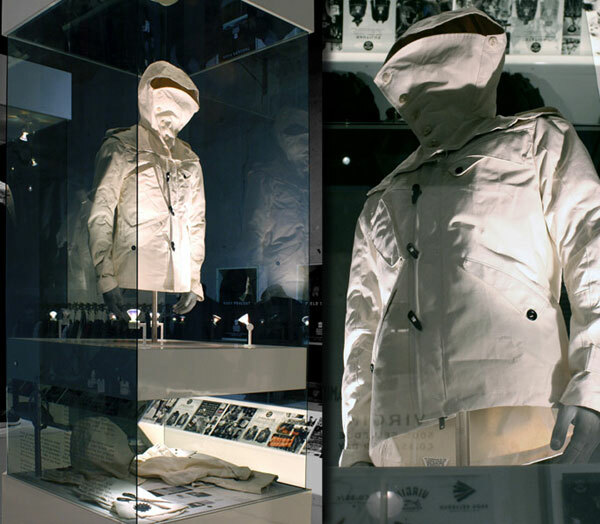 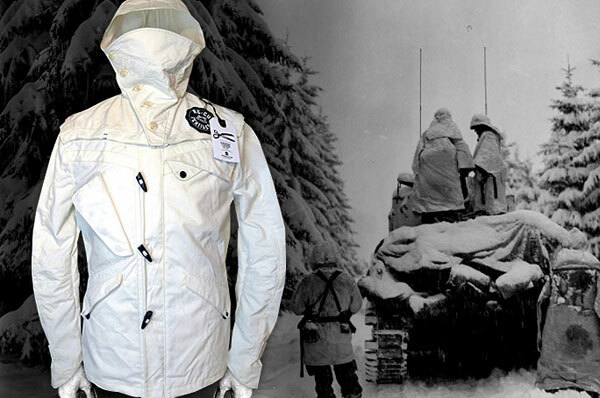 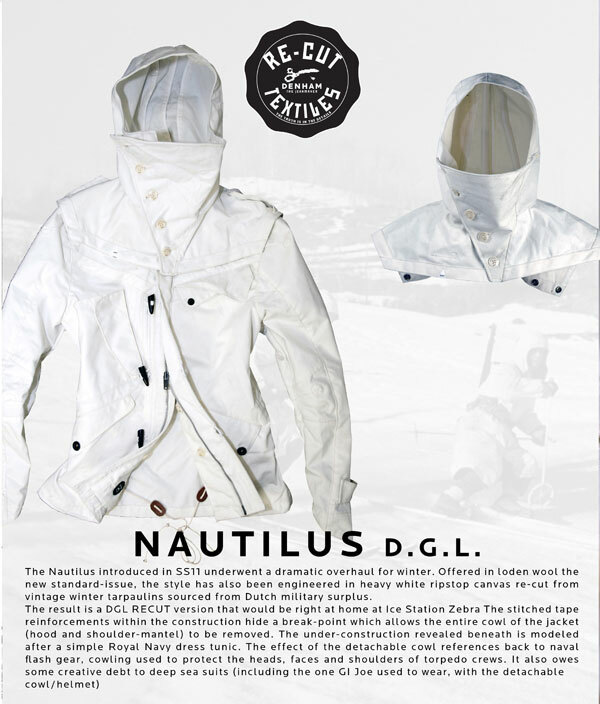 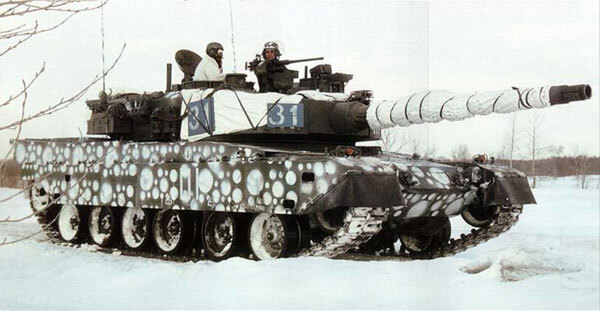 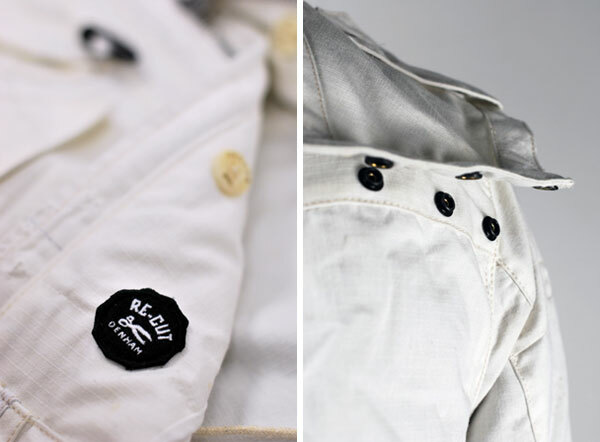 The ripstop outer fabric comes from Dutch military surplus winter tarpaulins. 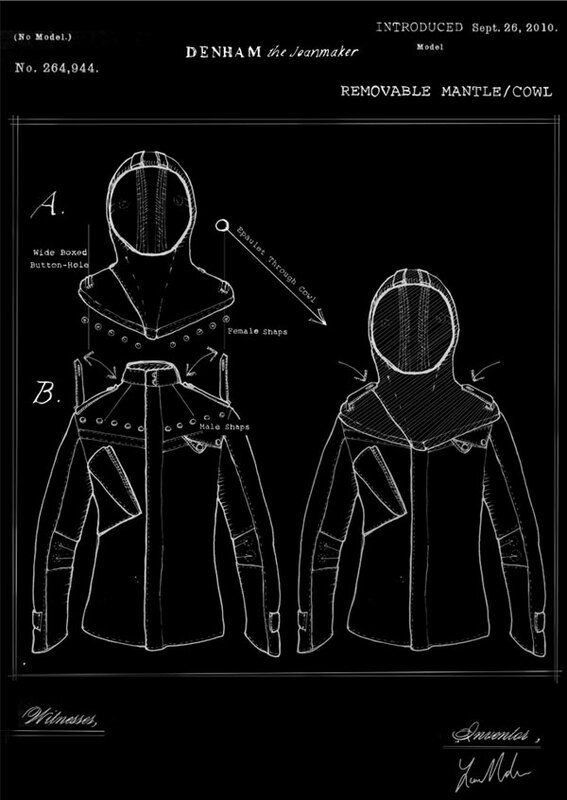 The hood and shoulders of the coat can be completely removed. 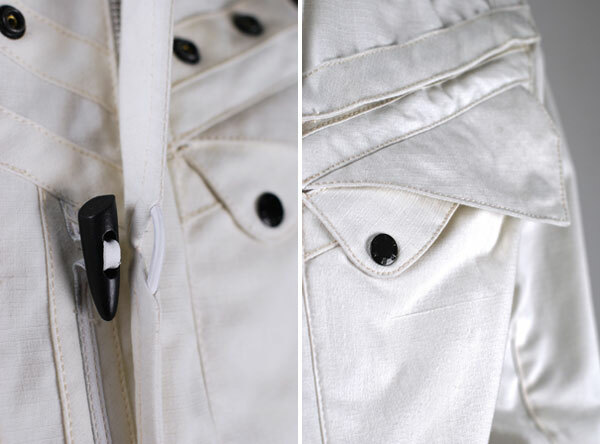 And here’s a closer look at the detailing.